Sandrine Burriel is interested in too many things for a 24-hour day. After studying energy and information sciences at Supélec, she started her first career in IT and scientific computing, then became a technical translator and writer. When she moved to Okinawa, her love of science took over again and she joined the PhD program at OIST, where she studies cancer biology. Her free time is spent sweating in her local dojo practicing karate, paddling and sailing with her sabani team, or snorkeling in the Okinawan sea. She loves math and books, Linux and Shakespeare, and learning new languages to make new friends. Most importantly, she loves building bridges between people, fields and ideas. Paola Laurino PhD was born in Italy close to the Alps. After she completed her master’s degree she moved here and there in Europe to explore her passion for chemistry– the Netherlands, Switzerland and Germany–finally heading to the Middle East (Israel), where she got fascinated by proteins and directed evolution. In Israel she enjoyed many different cultures (but most of all hummus). There Paola realized that by her experiments she could also grasp a bit of the beauty of nature. Paola moved to Okinawa one year ago and enjoys exploring small beaches along with their seas and animals in the north of the island. Makoto Suzuki MD PhD is a cardiologist and geriatrician. He is Professor Emeritus and former Director of the Department of Community Medicine at the University of the Ryukyus. He recently retired from his position as professor in the Department of Human Welfare at Okinawa International University. Currently, he directs the Okinawa Research Center for Longevity Science and is the Principal Investigator of the Okinawa Centenarian Study. The study is entering its 36th year and is the longest continuously running centenarian study in the world. He was recently presented with the Nishi-Nihon News Award to recognize his lifetime contributions to health and well-being in Japan. Kenichi Sajiki PhD is a staff scientist researching cell biology in the G0 Cell Unit at OIST. His research interest is understanding the regulation mechanism of how cells decide between proliferation and quiescence. Kenichi is also interested in the traditional style of Okinawan pottery called Yachimun. Fascinated by its techniques and culture, he decided to learn the art of pot making from the studio Kitagama in Yomitan. He helped organize the art exhibition “Kitagama x OIST - Tradition and Science” at OIST in 2015. Maki Thomas has always been fascinated by nature, especially aquatic environment. She left her hometown of Tokyo to study marine biology at the University of Ryukyus where she learned to sail over the beautiful sea. She finished her associates degree in journalism and bachelor’s degree in environmental science in the US. Later she worked for an environmental consulting company in Okinawa where she gained experience in protecting the locally unique environment. Maki loves diving, snorkeling, and is even learning to surf. Her passion and lifework is to protect the nature that provides us with the spiritual and physical energy for our children. Ray Xin Lee was touched by the fact that animals use their brains to face great uncertainty in nature and to perform countless tasks throughout their lives. Embarking on a career in natural science, Ray realized that behavioral neuroscience is the nexus of different academic disciplines, presenting fascinating questions about mind and matter. Initially daunted by the large number of abstract concepts and paradoxes, Ray finally decided to dive into it. Currently a JSPS research fellow and a PhD candidate, Ray investigates psychology and the neuroscience underlying spontaneous behaviors, social interactions, and emotions in mice. Nozomi Kobayashi PhD specializes in the ecological study on whales and dolphins at the Research Center of the Okinawa Churashima Foundation. She used to live in Chichijima in Ogasawara and started her career as research scientist on humpback whales at the Ogasawara Marine Center. After three years in Ogasawara she obtained her PhD degree in Marine Science and began working as a zoological scientist at her present post. Her current focus is studying the sound communication of animals, especially among whales and dolphins. She hopes to have the chance to connect with local people as well as people all around the world by sharing the interesting stories of animals she has discovered throughout her study and her career. Yasha Neiman PhD is a theoretical physicist. Born in Russia, raised in Israel, married in Czechia, kids in the US and Canada, and currently living in Japan, Yasha has been places. Growing up a math nerd, it took him some years to appreciate that fact that Nature was a math nerd too. He enjoys collecting stories that shed light on the history and inner workings of the world. Yasha is a fan of all sciences, but physics is his forte. In his work, he tries to sneak up on the question of how gravity and quantum mechanics can coexist in a universe that is constantly expanding, that too at an accelerated rate. He approaches science hedonistically and has been able to get away with it so far. 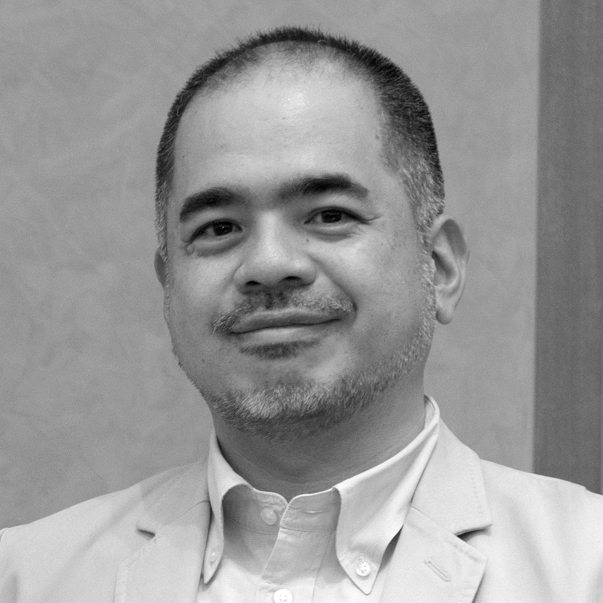 Hideki Sunagawa PhD is an anthropologist who was born in Okinawa prefecture in 1966. He received his PhD degree for the research of Shinjuku Ni-chome from the University of Tokyo. He has been participating in the activities related to HIV/AIDS since 1990 and has worked with the non-profit organization PLACE TOKYO since 1994. In 2000, he served as organizing committee chairman for the Tokyo Lesbian & Gay Parade, which was later renamed the Tokyo Pride Parade, and he represented TOKYO Pride in 2005-2006 and 2009-2010. He also engaged in civic activities about LGBT in Okinawa between 2011-2016 and acted as co-representative of Pink Dot Okinawa from 2013-2017. Jason Ball is a PhD student in quantum information science, a former teacher, and the father of a budding young scientist, Jason has a passion for teaching physics. Although many people are intimidated by physics, Jason believes that everyone is capable of understanding the guiding physical principles of our world, including quantum mechanics. Jason’s primary research interests at OIST lie in developing technologies to protect and transfer quantum information, and he has also taken up quantum programming as a hobby. When he’s not in the lab or the classroom, Jason can be found spending time with his family or painting miniatures. © 2018 TEDxOIST. This independent TEDx event is operated under license from TED.